In 2010, the Penguin Group celebrated the 50th anniversary of the controversial publication of D.H. Lawrence's Lady Chatterley's Lover. In addition to releasing a special edition in honour of the anniversary, Penguin Classics built a designated website to explain the timeline of the trial, display book reviews from modern-day Penguin readers and showcase more Penguin titles that have shocked the world. Penguin continues to champion freedom of expression in a number of other ways, including through continued strong support of both English PEN and PEN's annual WorldVoices Festival. Ensuring product safety is integral to the design and manufacture of all products made by or on behalf of each of our businesses is our foremost priority – everything we put on the market should not harm a person or the environment. The Penguin Product Safety Manual, first developed in 2008, records procedural steps, legislative requirements, developmental advice and labelling information to help achieve this goal. Now in its eighth incarnation, the manual is regularly updated to reflect changing global requirements and developments to internal processes and due diligence procedures. This manual has been adapted and adopted by Pearson globally. An international product safety team convenes monthly to oversee this important area. Wherever we operate in the world, our businesses and people pursue a common purpose: to help people of all ages to progress through their lives through learning. Our financial and commercial success sustains us, providing the means to invest and innovate to deliver on that common purpose. Our expertise, resources and global presence means we are uniquely placed to both help bridge gaps and to improve learning outcomes in ways that are tailored to the specific learning needs in the different countries of the world. The right to a quality education is also a global priority enshrined in the Millennium Development Goals. Realising that right globally requires addressing a complex array of challenges including awareness and attitudes, affordability and in the poorest countries, lack of infrastructure or the ability to finance education systems. Pearson works with governments and other partners to make our products and services available at prices appropriate to each marketplace. Through the Pearson Foundation, we work to further extend access and to play our role in helping address the challenges and barriers to access. 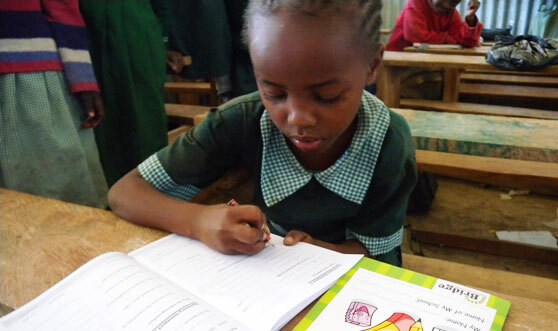 In 2010, Pearson Southern Africa invested in the Bridge International Academies in Kenya. These are 'school in a box' private primary schools, designed to give Kenyan families living in poverty the opportunity to send their children to high-quality low-cost schools. Each school costs $4 per child, per month to operate, with profits re-invested into the expansion of the small network of schools. Bridge International hopes to develop 1,800 schools across sub-Saharan Africa with 15,000 education workers by 2015. We are a founding sponsor of this new co-working space for the tech start-up community. TechHub is based at the heart of east London's so-called 'Silicon Roundabout', offering support and opportunities to product-oriented technology entrepreneurs. Members of Pearson's Digital Strategy team visit TechHub for their monthly demo nights, and took part in several TechHub events with Penguin, Pearson UK and the FT during Internet Week Europe 2010. FT.com has fast become the best practice example for paid content in the world of journalism, with an intuitively-priced subscription structure which allows registered users to share articles for free.